But Nikki, if you’re cute enough for Brandon now, you must have been cute as a baby, right? I’d invite my friends, Zain and Sofie. Because they’re my BFFs, besides they live in the neighborhood. Brandon went to your house? Coooool! (And sweet, I’ll love to see the scene) I’ll invite you and my best friends (who is as sweet as Chloe and Zoey) and maybe, Brandon. Idk. Same! Wanna b DD friends? OMG! So funny! I sware that’s what I would do if I had any baby pics! But why would you have a meatloaf recipe in the chest of baby pics? I sure would, because I’m cuckoo! I just love theses books and I never ever want to stop reading them so keep doing some new books and keep on dorking out there! Well, my friends, and probably a nurse, since I want to be one when I am older. I’d love to learn more from her/him.! Hi HorseCrazyGirl! My cousin also wants to be a nurse when she grows up! I really hope you will become a great nurse some day! My BFFF Laura because she is amazing! 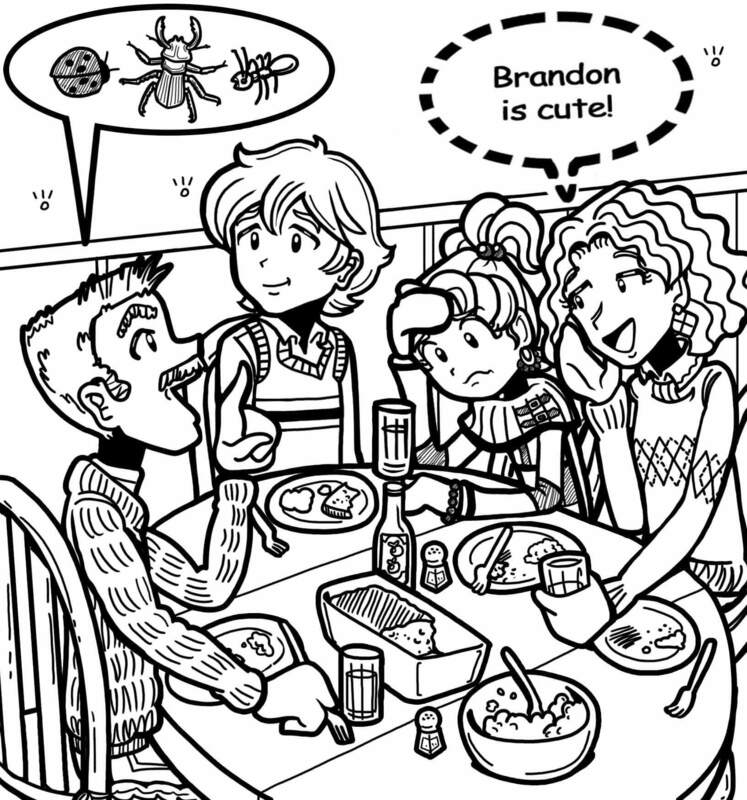 If you do something awkward in front of Brandon, don’t stress it because he’ll probably just think you’re funny. He’s a guy with humour. Wow, Nikki! I loved reading the story! You must have been embarrassed! But I’m glad Brandon said he’d like hang out with you on Easter break! I’d like to invite all of the friends I had in my life, including my dorky pals! If it ever happens, it will be the best day of my life! Also, there is someone that copies my name, again. It makes me stressed, so please stop. Yeah, I got why your stressed. I always get people copying my name. Just know I end with “Your friend,” though some copy that too. Me too! I’d invite all my dorky pals, including you! Then, I could finally meet you! Hope this gets posted! Wow that was a such a sweet moment for you both isn’t it? would love to see your plans for easter. you both are so cute together,honestly. It would be mine crush obviously. Because I could spend time with him. HAD TO GET THAT OUT! I thought it was really funny when you thought that a meatloaf recipe were some baby pictures!